SINGAPORE once again finds itself at the nexus of profound global change. World events first shaped modern Singapore into a global trading hub, following the arrival of the British in 1819. Now almost 200 years later, Singapore is once again at a crossroads between its future and its past, at a time which could shape the future of the Singapore story. Three major global shifts underscore the circumstances that surround decisions that we, as a nation state, need to make if we are to thrive in this sea of rapid change. First is the shift of global economic might to Asia. Combined with the relative youth of its region’s population demographics, this represents near-shore markets of opportunity for Singapore’s companies. The second is the emergence of new technologies at an ever-quickening pace. While these have the potential to disrupt, they also offer opportunities for Singapore’s companies to compete globally. The third is the plight of many mature economies – an ageing society and its rising social cost in terms of health care and a shrinking workforce. Underlying this year’s Budget theme of a better future together is the theme of innovation which covered the entire spectrum of innovation-related activity, with the acknowledgment that innovation can mean different things to different companies. While some deem innovation to be adopting new technologies, others wish to create or co-create their own innovation. For instance, to encourage the adoption of new technologies, a 200 per cent deduction for the licensing of intellectual property (IP) was proposed along with a Productivity Solutions Grant. It was also heartening to hear that the changes that we called for to the research and development (R&D) incentives was heard. To those who may focus on creating innovation, a 250 per cent deduction was proposed for R&D activity and a 200 per cent deduction for IP registration to protect any IP created. Other announcements were made around greater National Research Foundation (NRF) funding and the establishment of an Open Innovation Platform for co-creating solutions. That national research capabilities very much remains a bedrock of economic competitiveness for Singapore, was reiterated as well. A NRF-Temasek Commercialisation vehicle was announced, which will see a S$100 million venture co-funded between the government and Temasek to grow more companies drawing IP developed from publicly-funded research. At the same time, R&D resources will be harnessed to drive greater adoption of digital technologies, automation and robots. To improve labour productivity, the National Robotics Programme will be expanded. As Finance Minister Heng Swee Keat pointed out, new technologies will bring new opportunities but also greater competition. Singapore’s companies have to change quickly, and its workers have to be adapt at changing skillsets that will offer them good jobs in the digital economy. Since the Tech Skills Accelerator (TeSA) was launched in 2016, over 27,000 training places have been taken up or committed to. It is therefore being expanded into new sectors such as manufacturing and professional services, where digital technologies have become indispensable. At the same time, Mr Heng acknowledged that even as we develop our people’s capabilities, certain skillsets – likely in cyber security and data analytics – could not be trained fast enough. As such, we heard the announcement of a Capability Transfer Programme which would seek to plug missing skillsets quickly, and support the transfer of such skills from foreign specialists to Singaporean workers. 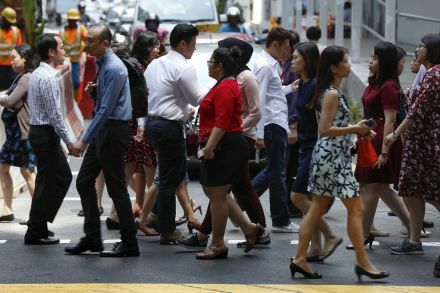 However, what was also needed was a flexible manpower framework to bring such foreign specialists into Singapore to address the immediate shortages, but this was not addressed in the Budget. As Asean chair this year – and with innovation also on the agenda – Singapore seeks to strengthen the links among the innovation ecosystems in the region by developing an Asean Innovation Network. Whether implicit or explicit, innovation also plays a role in how Singapore plans to tackle climate change and in our vision of a Smart Nation. Mr Heng articulated how our aim of being a Smart Nation seeks to use new technologies to uplift the quality of life in Singapore, enhance economic competitiveness and promote social inclusion. Laying the foundation for a Smart Nation would be strategic projects such as a Smart Nation Sensor platform to enhance municipal service delivery and the opening of digital platforms for the private sector to build innovative services. Another example is the role of research and innovation in taking Singapore’s sustainable development story to the next level. A total of S$250 million will be set aside for programmes promoting innovation in urban development, minimising the environmental impact of waste and developing next-generation energy grid infrastructure. However, what is clear to me is that Singapore’s journey has moved from productivity – mentioned approximately 12 times in this year’s speech – to innovation, mentioned a total of 31 times.